Lower bulkhead with anti-roll bar mounting areas, fits front L and rear R side. CNC-machined from premium Swiss 7075 T6 aluminum, the bulkhead has been designed to provide the lightest and strongest possible support framework for the car. 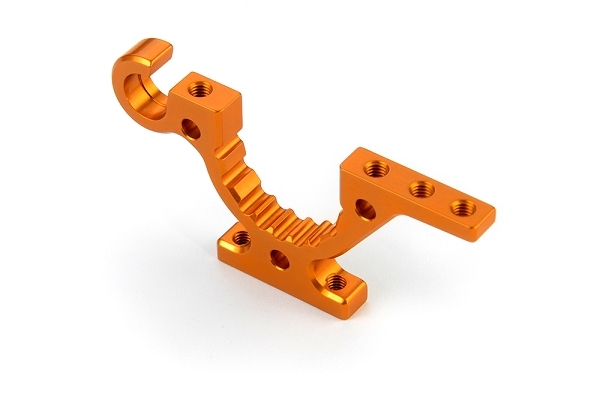 Color anodized in a distinctive orange color, and finished with stylish edging. The T4 platform – with more centralized weight placement – features the smallest and lightest bulkheads that are positioned more towards the chassis centerline to provide maximum traction, steering, and balance.